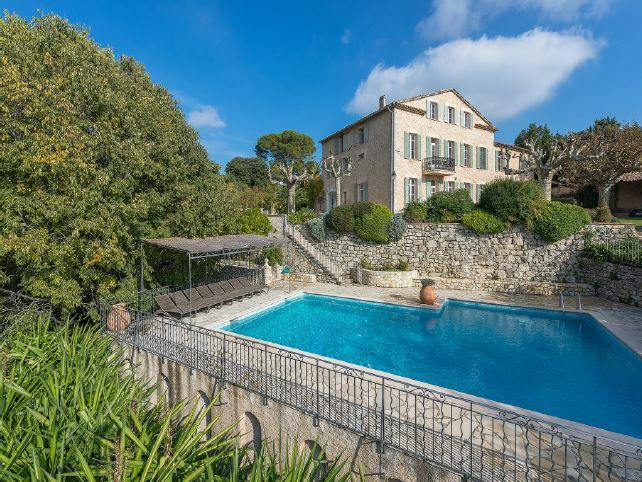 Located a calm and residential estate in Mougins, this stunning bastide built in the 19th century has been fully renovated and decorated to an immaculately high standard. The spacious and open plan living areas are bright and airy with large windows, exposed wooden beams, sumptuous furnishings and an authentic fireplace. 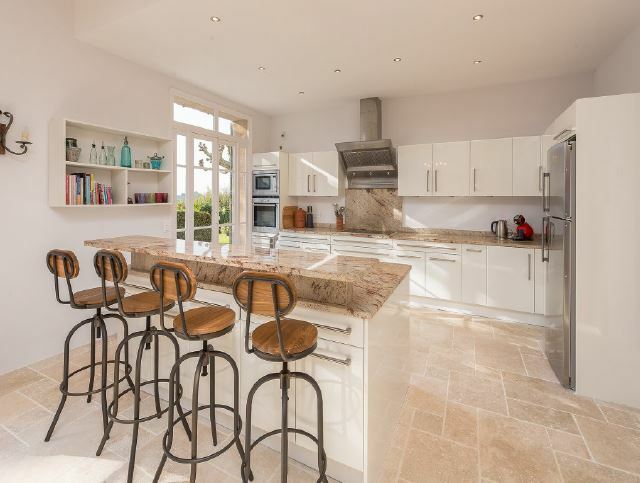 The kitchen is fully equipped and includes a breakfast bar. A wonderful library area gives guests a peaceful retreat from the villa’s main living spaces. From the hallway, guests can find a fantastic study separated off via a sophisticated glass door. Upstairs on the 1st floor, guests will find one of the master bedrooms complete with an en-suite bathroom and access to a balcony. An additional 2 double guest bedrooms are also on this level and feature their own en-suite shower or bathroom. A guest twin bedroom with an en-suite bathroom and a children’s en-suite bedroom are also on this floor. The 2nd floor of the property features the 2nd master bedroom featuring a complete en-suite bathroom. A games room can also be found here with a sofa bed. The guest villa is located within the grounds of the property. Featuring a large living room, 2 double bedrooms (one with an en-suite bathroom) and an independent bathroom; the guest villa is perfect for allowing larger groups to stay within the same domain. The outdoor space of the properties features a stunning swimming pool with a multitude of terraces made for sun bathing or outdoor dining in the Mediterranean sun.